Asus is a renowned multinational electronics and computer hardware manufacturing firm. It has built many gadgets and now it is ready to compete with market’s leading Smart phones brands with its amazing Asus ZenFone. This company had introduced the first generation cell-phones in 2014 and 2nd generation phones in 2015. Now Asus is set to launch its futuristic Asus ZenFone 3 series. This company will introduce three Android platform based smartphones in the market with luring features. 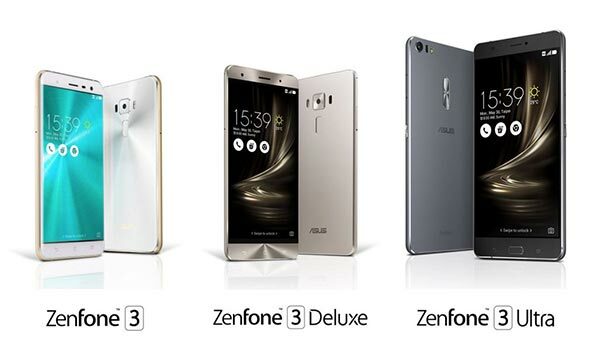 Unlike other brands, Zenfone will be available with aluminum body and comprise some cutting-edge features. Asus has thrilled the market by revealing prices of its 3rd generation smart phones. 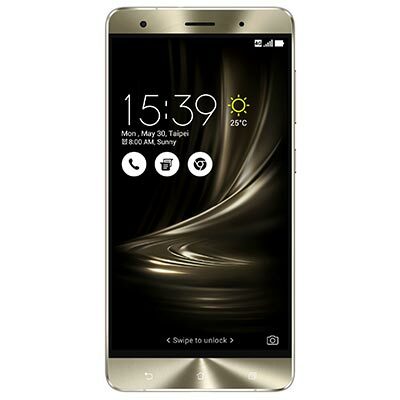 Below given details will show you that why people are buzzing about Asus ZenFone 3 series. Asus has closed all the speculations regarding its futuristic Smart phones models by revealing details regarding all three smartphones. This company will launch three variants with different features. The first and the basic variant would be Asus ZenFone 3, a 5.5 inch screen basic model. The second variant would be Asus ZenFone Delux, a 5.7 inch model. The last and most innovative variant would be Asus ZenFone Ultra with large screen size and some extended features. Experts are saying that these three models will give tough competition to other smartphones with similar features and characteristics. Let’s explore more details on Asus ZenFone’s all three smartphones. 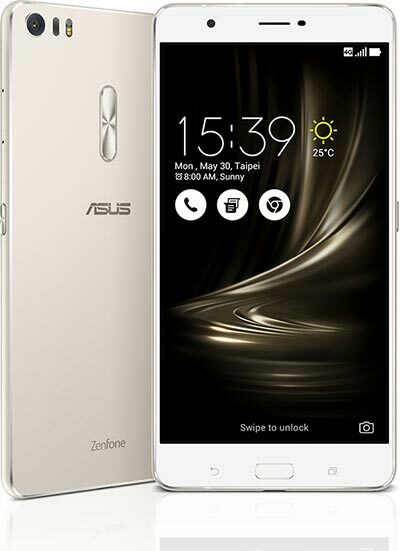 Asus is ready to release ZenFone 3 series and its basic model (ZenFone 3) will be a 5.5 inch touch-screen model with innovative IPS+ touch feature. This Smart phones will be equipped with Gorilla Glass 3 protection along with the main display. It means, there will be no need to use extra protection. The ZenFone 3 is featuring 3GB RAM and 32 GB internal storage capacity. It is simply amazing for a normal Smart phones user. The user can also extend the memory up to 64GB, if he requires. The basic model comprises 64-bit Octa-core processor. It works on Android v6.0.1, the most innovative version launched by Android. Ultimately, the user will have an amazing Smart phones with better camera quality, extended internal storage and better performance. That’s what ZenFone 3 will offer you. Among all three variants of ZenFone 3 series, the ZenFone 3 Deluxe seems the most useful Smart phone. Asus is launching it with revolutionary Snapdragon 820 processor, which is coupled with Adreno 530 GPU. 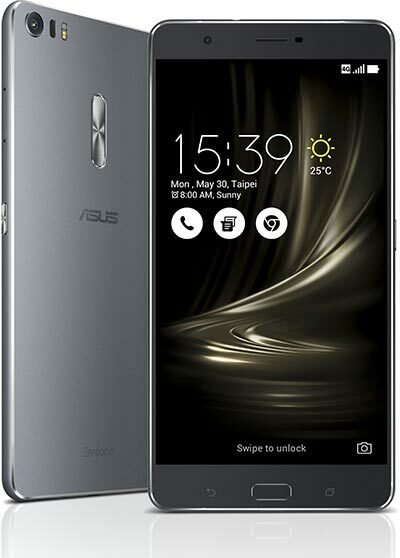 Asus ZenFone 3 Deluxe features 6 GB RAM, which can offer immense boost to the operating speed of this phone. It will be available with 5.7-inch touch-screen display. The developers have used AMOLED display that turns the screen into a high-definition screen for watching videos and playing games. ZenFone 3 Deluxe is certainly the best Smart phones for all the photography lovers. It is providing 23 mega-pixel rear camera equipped with Sony IMX318 sensor. Obviously, it will generate high-quality pictures, which selfie lovers would like to share on social platforms. Asus has not compromised with camera quality and its relevant functions. They have tried to turn ZenFone Deluxe into the best Smart phones for the photographers. Featuring large in size, impressive design and innovative Smart phones features, but still ZenFone 3 Ultra doesn’t look as appealing as its two other siblings. This model features large 6.8-inch, full high-definition screen display. However, Asus has not shared any information regarding the display technology of ZenFone 3 Ultra; it looks amazing in the first look. This phablet type Smart phones features same camera quality as we have mentioned for ZenFone 3 Deluxe and that’s why you can plan for purchasing it. It uses Snapdragon 652 processor along with Adreno 510 GPU. It is featuring 4 GB RAM to boost the processing speed. This third generation Asus Smart phones offers longer battery backup by using 4,600-mAh battery and it also supports quick charge 3.0 that helps the user in charging this Smart phones quickly. The speculators say that the price of ZenFone series’ smartphones can vary between $110 and $370. Yet, the company has not revealed the details regarding the prices of all three smartphones. Though, you will know it when company will release all three variants. It is expected that Asus may launch its smartphones till August, 2016. The users are waiting for these smartphones and certainly Asus will experience immense sell from the day it will launch its third generation smartphones. Previous: Simplify the Complexities of Charging now with Wireless Charging Technology! LatestOne.com is the reputed retailer known for bringing the latest Mobile Accessories models from all major manufacturers at best discounts. Company has fully operational office and warehouse maintained to make timely deliveries across nation.